At present times, there are several home warranty providers in the market. However, there are many that are complete scams. Home warranties come into business every year and in the same manner many are dying out every year. You can check first American home warranty reviews to know which one is the best for you. However, you need to know the tips to know choose the best home warrant. Prior to purchasing a home warranty policy, it is necessary to figure out if you really require one. One of the best ways to do this is by taking the help of a home maintenance calculator. This is for checking the estimated cost for maintaining the appliances and systems that you have at home. Thereafter, compare it with the cost of the warranty policy of your home. You need to talk to people who have purchased home warranty policies for their homes. This might be for your friends, neighbors, colleagues, and family. Ask them about the companies that provide you with home warranty policies, close to your home. Also, inquire about the kind of experience that they had. This will give you an insight into how the companies function. You need to create a list of the companies that you think are suitable or someone has suggested it to you. Make sure that you do thorough research and read the reviews about them. Check out the company on different review sites to find out the pros and cons of it. Do not forget to check its ratings. 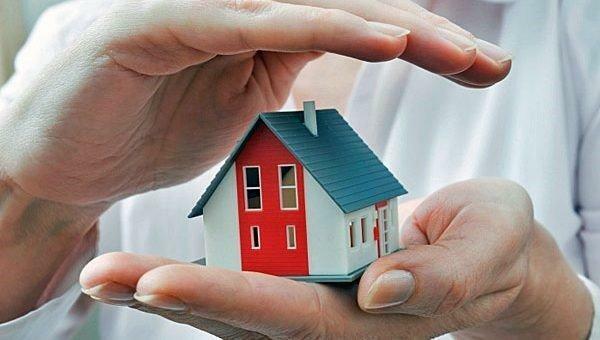 You should know that different home warranty companies provide you with different kind of plans. Hence, you have to decide if you would like to get a policy which covers your appliances, systems, or a combination of both. The variety of appliances which is covered by a home warranty company usually differs from what other companies have to cover. For instance, some might cover jetted bathtubs while others might not. It is necessary to know about the items which are covered by the basic plan. In case you want to go for add-ons, calculate the monthly or the annual premium by adding the additional prices. Service call charge of the deductible generally depends on the price of the warranty that you have taken. Usually, the service call varies in between $50 to $150 on the basis of the plan you have chosen during the time of purchase. Mostly, higher is the annual premium lower is the deductible. In case you have been living in your house for over a year then you will have an idea about how often you need service calls. When the total service call that you are anticipating is low enough, you can opt for a higher deductible. You need to have an idea about the budget when you choose the policy. If you have already narrowed down the list of companies, you have to find out the annual premium. Get free quotes from a warranty company that you like. All you have to do is submit the zip code and your email address. Also, you can call up the home warranty company and ask them for a quite. Talk to the customer care professionals to find out about the average turnaround time for this service to be delivered or dispatched. You need to inquire into what is the duration of time that you would have to wait prior to the service appointment during a busy season. Also, do not forget to ask that what you would have to pay in order to pay for the service call when a repaired appliance starts showing problems just after the servicemen has repaired it. It is important to check if the company hires licensed contractors. Also, check if the company will allow you to hire your own contractor when you do not find one that offers service in your locality. Find out if you can request the warranty contractor in case the one which has been assigned to you is not a good one. Make sure that you go for a company which provides services 24/7. Moreover, you have to find out whether they have a system in place where you will be able to claim the warranty over the internet. If they have an online service, you will be able to claim warranty easily and quickly. You don’t have to spend time waiting for a representative who will answer your call so that you can file your complaint. There are some companies which take a month to be effective after you make a payment for the policy. However, there are some others which become effective almost immediately. It is necessary to ask the representatives of the companies as to how long it is going to take for the policy to come into effect. This is important when you have appliances which need immediate repairs. Check the policy to know if all the appliances which you would like to be covered are there in the policy. In some cases, the service representatives might be overburdened by their world and have completely forgotten to add some items to the warranty contract. Read it carefully rather than being shocked later on when you claim the warranty and get it denied just because the item is not listed. When it comes to the buyout, you need to know how the warranty company will reimburse the money to you. Also, you find out about the procedure. Inquire if the company is flexible enough to allow for adding money and purchase an appliance which cost more than replacement charges. Be careful to read the online reviews. This way you will know what is the arduous process of getting reimbursement from the company.